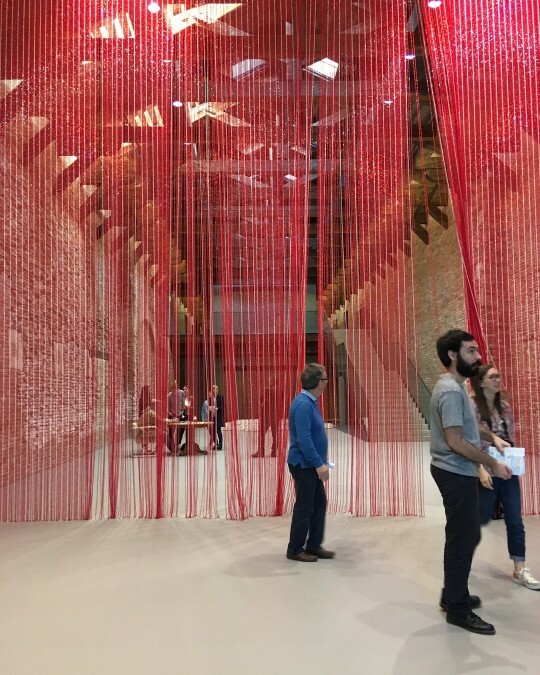 This month Erna and KFive + Kinnarps made the annual pilgrimage to the Salone del Mobile in Milan, the world’s biggest design week. The event brings together designers from across the globe come and creates a melting pot of creative ideas and design trends. We spent six days discovering everything Milan had to offer. We explored a variety of public exhibitions, caught up with our brands from Italy and Scandinavia, and enjoyed all the excitement in the city. Venice, what a beautiful city! We were lucky enough to meet up with some amazing designers from Australia in the days leading up to the fair. We only had two days on the floating island and so it became our mission to see as much as possible. Making a decision to stay away from the general tourist attractions proved a success. We uncovered some of Venice's contemporary architectural and artistic sights which you wouldn't find on the first page of a tourist guide. 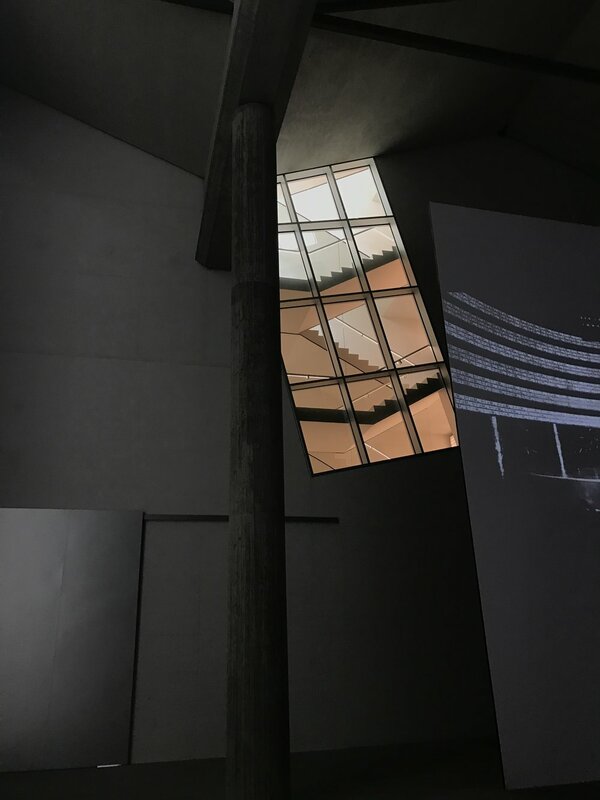 One of our favourite discoveries was The Punta Della Dogana museum which was restored in 2009 by Japanese architect, Tadao Ando. 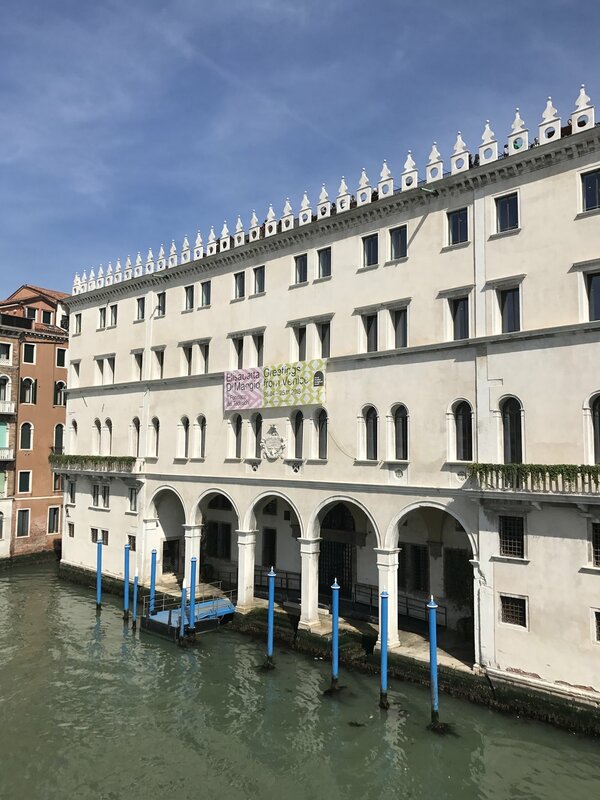 This museum can be found in one of Venice's most prominent locations, the merging point of the Grand Canal and the Giudecca Canal, meters away from the memorial church of santa Maria della Salute. The overall layout of the former warehouses has been maintained, with the original triangular structure acting as a reference to the shape of the top of the island of Dorsoduro. The interiors are influenced by the original structure but has been devided into long rectangles, with a series of parallel walls. The new gallery spaces follow the arrangement of the original bays. The original wood ceiling beams are restored to perfection, adding occasional skylights to let in daylight. In addition, high semi-circular steel windows let in light and offer framed views of the Grand Canal and the surrounding islands. For these windows Ando had the idea of creating gates for the water entrances that are explicit quotations of the wonderful gate that Carlo Scarpa designed in 1956. Dancing With Myself was the exhibition on display during our visit. 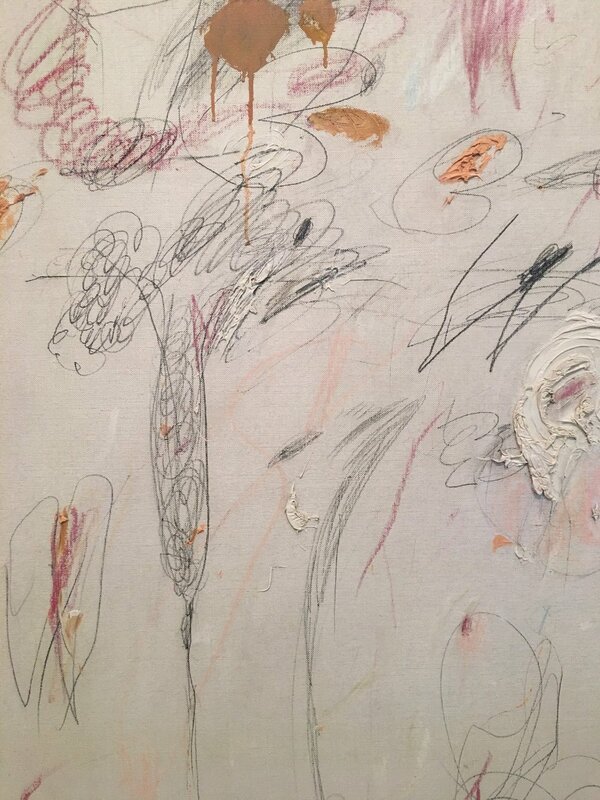 An amazingly engaging collection which included a great range of artistic practices and languages, it explored the primordial importance of the artist’s role as actor and material of his own creations. What a joy it was to visit this quaint and beautiful sanctuary in the heart of Venice. 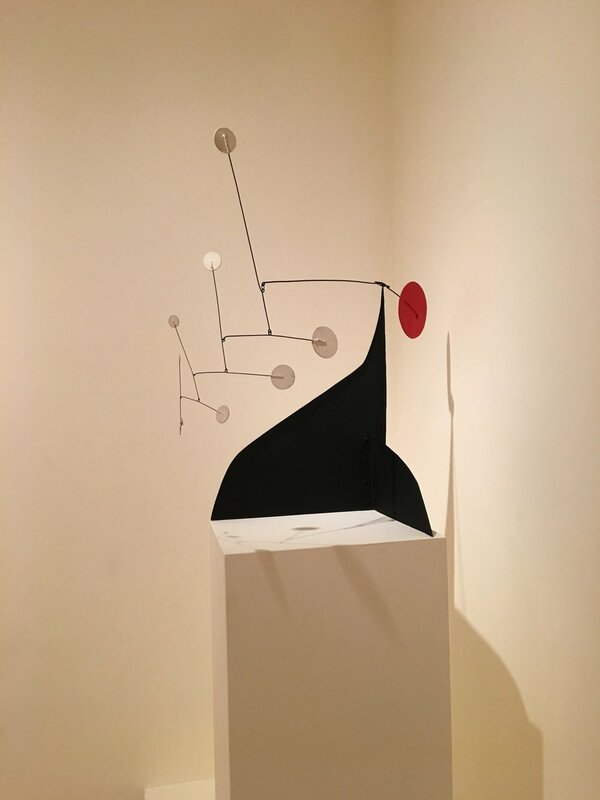 She began her career as an art patron at the age of 39, and is credited with discovering the talent of many modern day art superstars including Jackson Pollock. 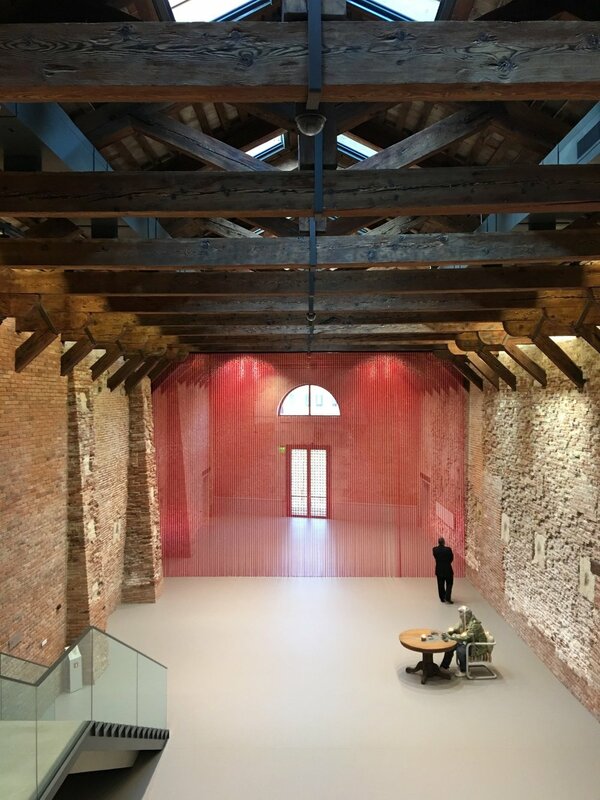 The collection itself ranges from Anish Kapoor to Francis Bacon, and lives on inside Peggy's original home otherwise known as Palazzo Venier dei Leoni. 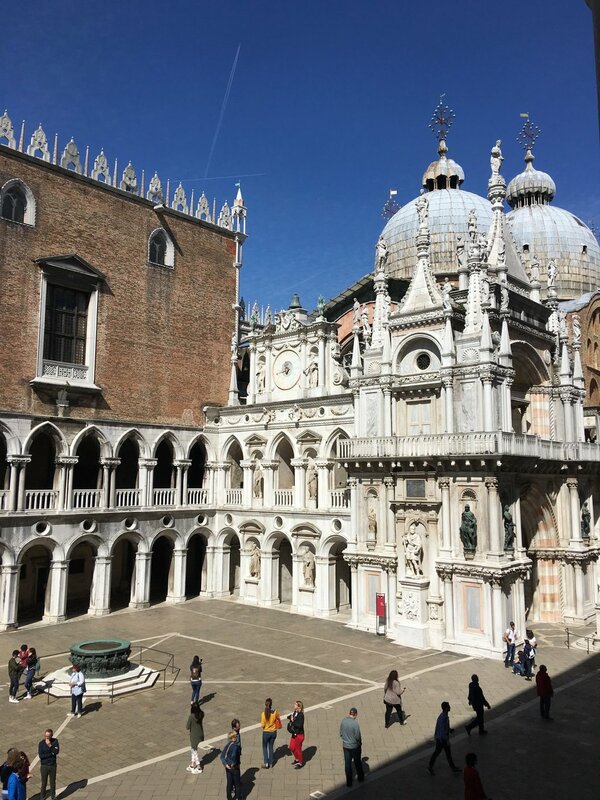 it is an unfinished palace designed by Lorenzo Boschetti, whose only other known building in Venice is the church of San Barnaba. The world renowned Dutch architecture firm OMA have restored the historic Fondaco dei Tedeschi, adding new features to turn the 16th-century building into a high end department store. The layout is planned to stay true to the original sequences of rooms, and historical elements have remained untouched. In addition there public gallery space and terrace which can be accessed on the top level. We were so thrilled to get the opportunity to visit our friends Montbel in Udine. 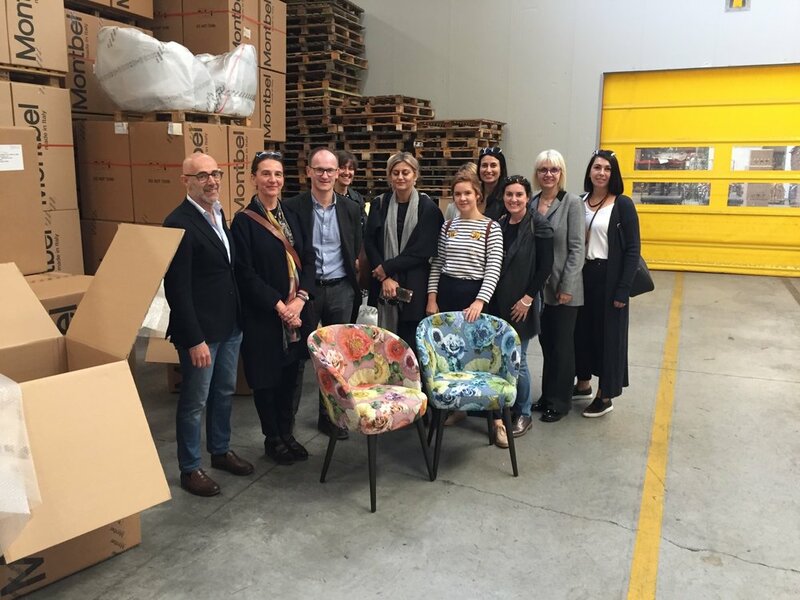 Visiting the Montbel factory and seeing all the people involved in making the furniture was inspiring. We spent the day at the factory leaning all the nuances of the production, and understanding the fundamentals of quality design. We were also given a sneak peak at the new collection which Montbel would be unveiling at the fair. It is always a humbling experience to be reminded of the people behind these amazing brands. Montbel are a community of incredibly hard working people. 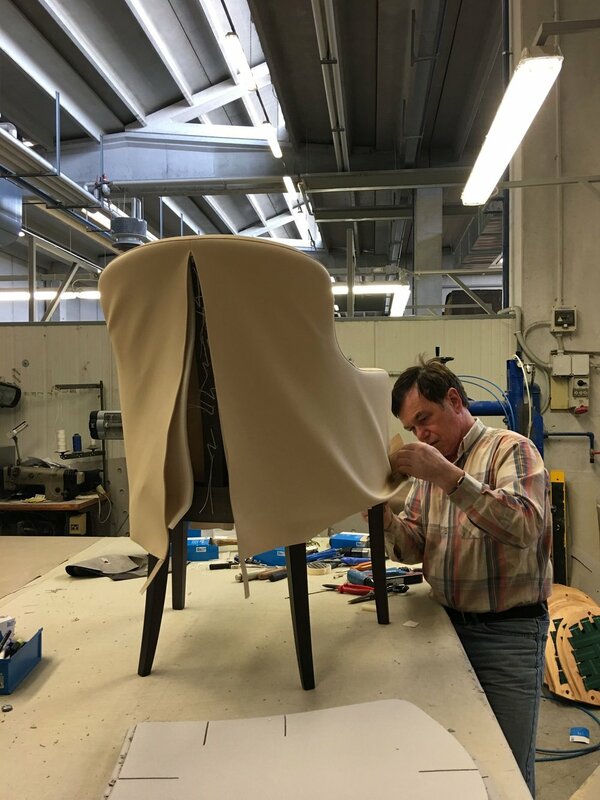 Not only do they produce some of the most long-wearing and beautiful furniture pieces, they also value honest and open communication, and sustainble working environment. We are very proud to call them our colleagues and friends. 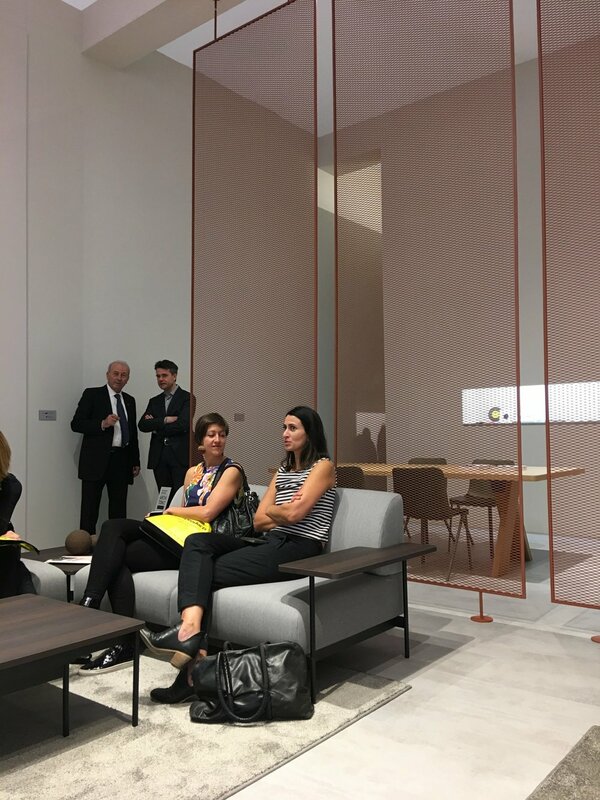 I have experienced many amazing things across my 23 years visiting the Milan Salone del Mobile, but each year I still feel the same sense of nervous excitement on day one. I am always waiting in anticipation to see what our brands will release each year, an exciting feeling of what is to come. Upon entering the fair on the first day I was immediately taken back to my first year in 1995. 20 years ago the fair omitted the feeling of a marketplace. It was a enjoyable environment where everyone was communicating very openly, almost like bartering in a local market. This year felt very much the same. There were lots of people admiring the collections and the visual aesthetic, but also conversing with the brands and learning from one another. Looking at our brands, I felt there was a genuine sense of openness. This feeling was reflected in both the visual aspects of the stand design, and the way in which our brands were communicating with visitors. There was an incredible amount of thought and effort that went into each stand, but the outcome did not rely on heavy and expensive aesthetics, instead each brand created a welcoming space which was inviting for everyone. Each stand felt inclusive and friendly and it was a refreshing experience. This year, we met some of our amazing designers from Australia who explored the fair alongside KFive + Kinnarps. Their experience and energy was very exciting for us. As someone who has visited the fair many times, it was refreshing to see the excitement of the fair through fresh eyes. In regard to trends, there was an overarching trend towards sustainability, something we saw in Stockholm back in February. This is something close to the heart of KFive + Kinnarps as it was one of the founding values of our company. More specifically, air purification was a hot topic across many brands. Furthermore, the idea of human connection was present across many of the stands. As technology is progressing so rapidly and becoming more fundamental in our lives, people are seeking a feeling of genuine human connection. The ability to connect, feel and experience the people around you is becoming just as important as the physical object or space. Milan was already on fire, full of sights and sounds. After catching the bustling metro to the fair we hit the ground running. The main hall was filled with the sounds of a thousand visitors all excited to soak up all the creative ideas on show. Manoeuvring our way through the enormous crowd, we walked directly to our first destination Hall 6 which was home to our friends at Segis. A beautifully simple stand which stood out of the crowd. 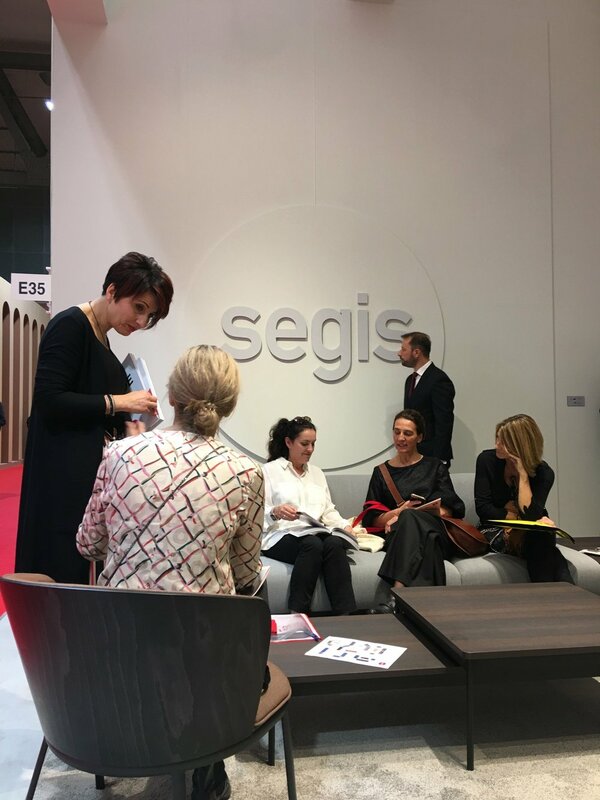 Clean lines and a neutral palette were themes at Segis. 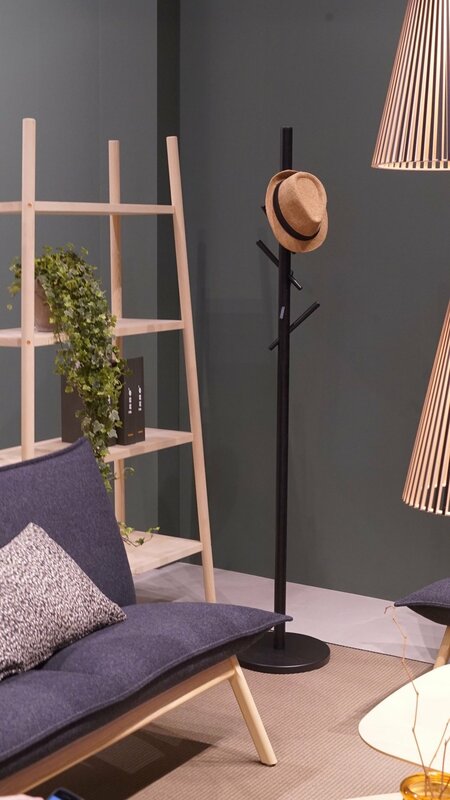 Crowd favourites were the new Artful table who’s legs received all the attention, followed closely by the new Billa chair and the Hotel modular seating system. Segis provided a welcome relief from much of the fairs madness. Our team sat down on the Hotel and were introduced to Manola and Franco who told the story of how KFive and Segis came to work together 20+ years ago. 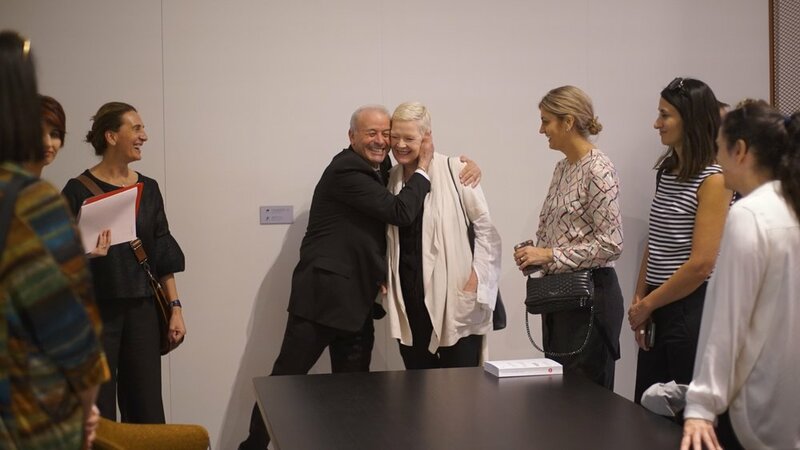 It was a delightful reunion and we are so excited about the new product ranges coming out of Italy. We pulled ourselves off the incredibly comfortable Hotel and carried onwards to Hall 16. 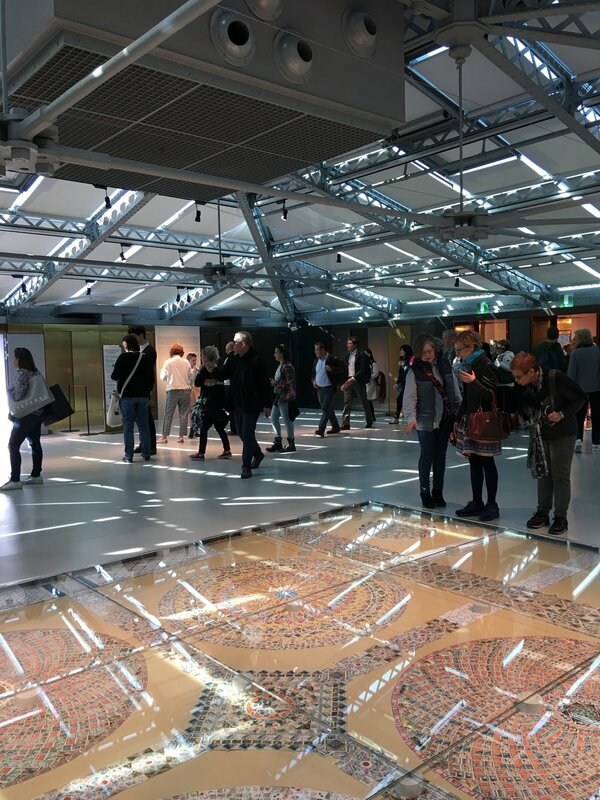 Milano shined during Design Week, with the exuberance of early Spring a glorious backdrop to the expression of new ideas fused with classic traditions. I particularly enjoyed seeing an increase in the number pieces employing traditional craftsmanship methods combined with new technologies and an inherent commitment to sustainability. One such product I will be investigating further is Foresso. An innovative timber terrazzo product designed by Conor Taylor and developed by Solomon & Wu. 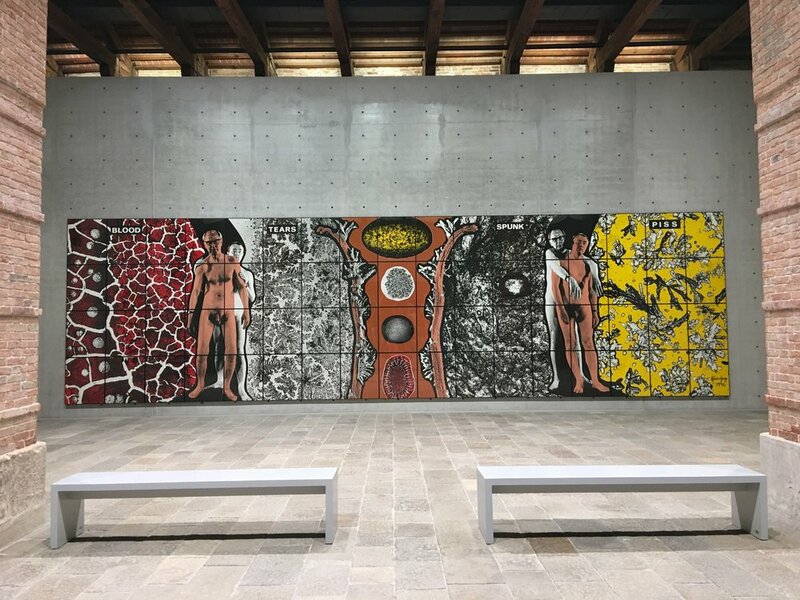 Foresso uses wood waste from joinery factories and draws on traditional terrazzo techniques to create a textural surface product that can be used for a number of applications. Another exemplary piece is Cecilie Manz’s beautiful ‘Separat’ screen for Nikari. A humble and quiet object, it possesses a warmth, tactility and functionality that will endure for decades. The Salone del Mobile is an arresting experience. 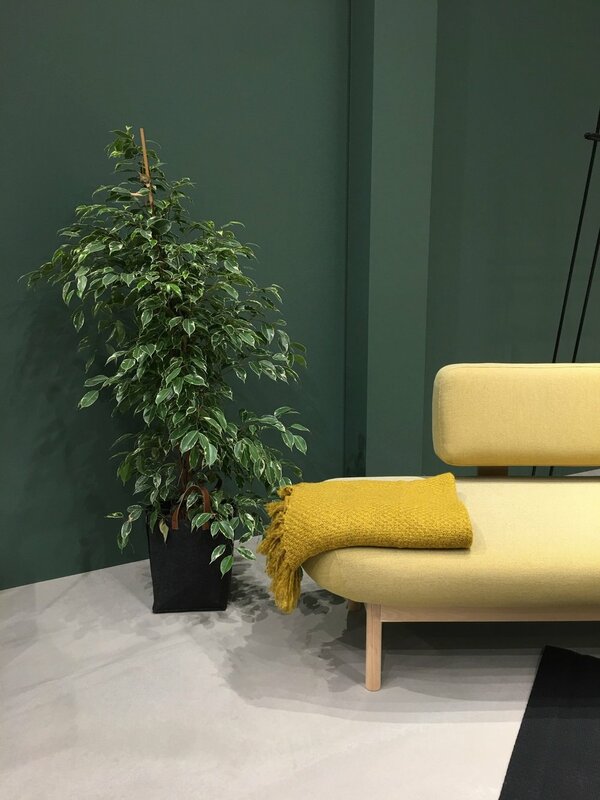 So much design is on show; from the fine detail of the particular pieces of furniture, to how the stall is experienced and organised and finally to how the collections and the space are curated or conceptualised. 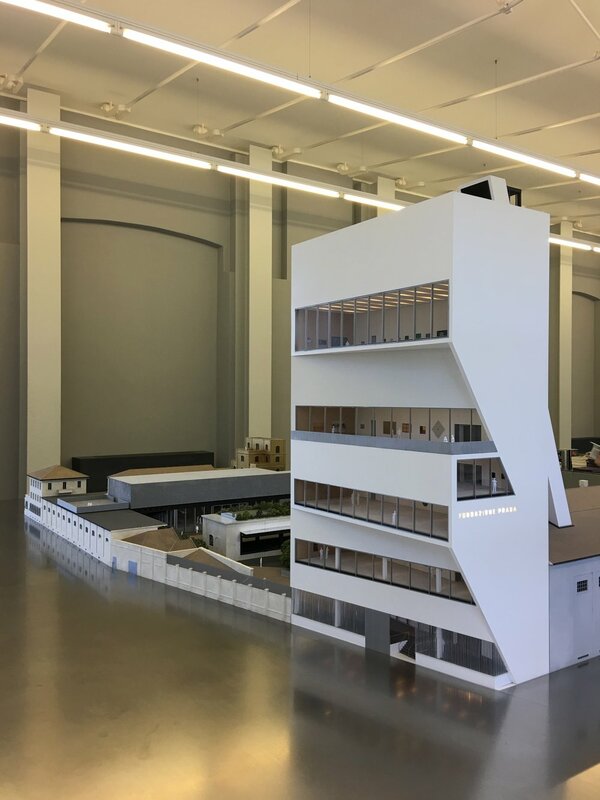 As an Architect, it’s a gallery of the world at a world scale. Apart from the overwhelming inspiration, the real opportunity of attending the fair is getting to meet the people behind the brands. Through these meetings, an understanding grows beyond the particular qualities of a product and includes how, where and by whom something is made. Appreciating the conditions and motivations behind a piece gives insight into its real quality, assisting us as designers to discern between what is bad, good and great design and better yet, getting to do this all within the one place. Meeting up with Johanna from Nikari was a welcome joy. After our reunion in at the Stockholm Furniture and Lighting fair, it was wonderful to catch up with the team again (this time in a much warmer environment). 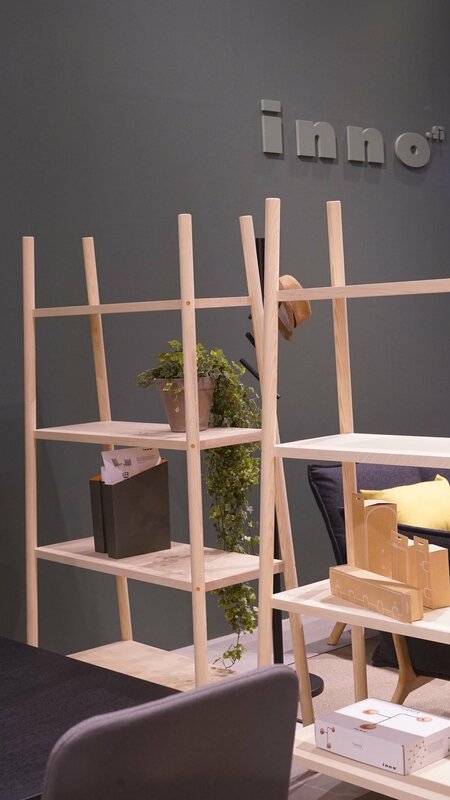 Nikari unveiled some beautiful and unique new products, including the Skandinavia Edi High Table by the legendary Stockholm-based Claesson Koivisto Rune, and the Separat room divider by Danish designer Cecilie Manz, who was recently awarded the Designer of the Year 2018. Both these new items reflect Nikari’s idea of carrying on the traditions of finest Nordic cabinetmaking to bring out the best of wood in contemporary design. 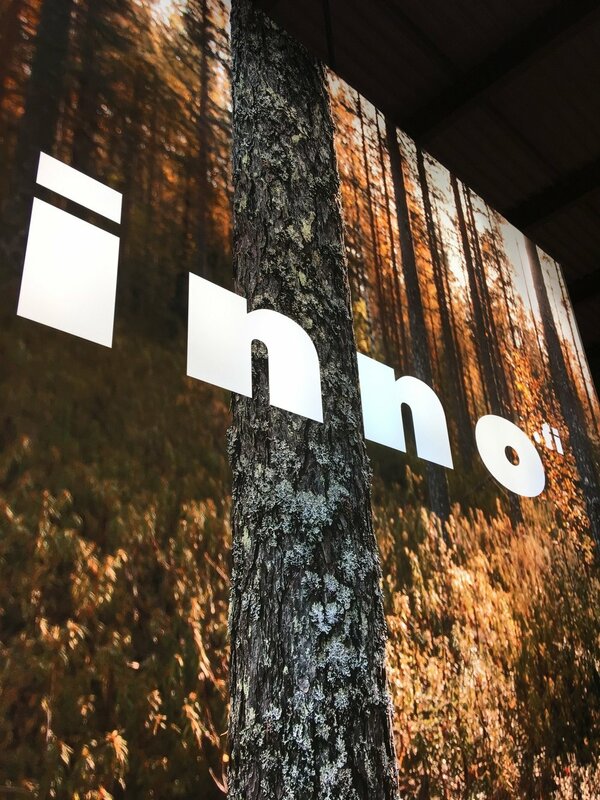 Next we visited Inno who were also representing Finish design at the fair. We met with the CEO Niklas who spoke to us about the new products on show including the Katve space divider and the Lab XL Rocking Chair. The Inno stand was beautful refreshing. The walls were coloured in a deep green, and accents of yellow and blue were scatted through the furnitures upholstery. For a fleeting momentIt felt as though we had stepped off the manic Milan scene and into a tranquil Finish home. Our last two stops for the day included Karl Andersson & Söner and Montbel, both of whom never fail to impress.